A mainstay of the Greenwich Village Folk Scene in the 70's and 80's, Willie has M.C'd and performed in the legendary Fast Folk Musical Revues, played clubs and concerts across the U.S., wrote and performed the title song for the Winter's Night compilation CD that inspired the still popular Winter's Night concert tours, wrote songs for the Captain Kangaroo show and kids TV specials, perennially won the Folk City Bob Dylan imitator's contests, developed a reputation as a great folk humorist and gained notoriety as a top flatpick guitarist with his solo acoustic bluegrass version of the William Tell Overture (you have to hear it to believe it). The New York Post calls him "an all-smiling down-right charming performer who gets more enjoyment out of doing his musical thing than anyone else in recent memory". 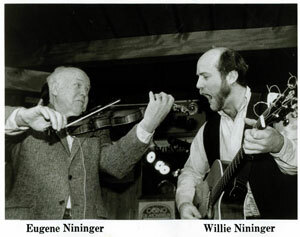 The Boston Herald said of Willie, "Nininger was hilarious in and between songs, displaying a sly and daffy wit". During visits to Europe in the early 90's Willie gained such a following that he pulled up stakes and moved to Switzerland where he was based while playing and recording for several years. Equally successful over there, Willie won national Entertainer of the Year awards and played well over a hundred dates a year in clubs, theaters and at large summer music festivals performing solo and with his Europe-based band. In 2002, Willie returned to the United States to pick up where he left off. Join him at one of his gigs in the coming months and explore this site for more information, sound samples, CD purchases and news. Willie was born in New York City . His parents both grew up in Kansas. Willie's father Eugene went to theUniversity of Kansas on a violin scholarship, but half way through school, he decided to become a doctor. He met Willie's mother Fern, who was in nursing school, at a baseball game. Willie and his brother Jim and sister Annie all took piano lessons while growing up, but didn't develop a keen interest in playing music until Eugene brought home a guitar one Christmas. Starting then, they all sang together quite often while Eugene accompanied them on the violin. In high school, Willie starting performing in local variety shows and started spending a lot of his spare time (when he wasn't playing baseball) going to the various folk clubs in Greenwich Village, seeing artists like Ian and Sylvia, Joni Mitchell, Gordon Lightfoot, Peter Paul and Mary, and the Weavers. He and his girlfriend would always arrive at the shows as early as possible so they could sit close to the front where Willie could see the guitar chords. Like many other people of his generation, he was very influenced by the songwriting of Bob Dylan, The Beatles, and Woody Guthrie. When he was 16, Willie also started to write his own songs. In 1970, Willie started studying at Kenyon College in Ohio where his brother Jim and Rutherford B. Hayes also attended. In the year and a half he was there he sang in an acapella group, acted in three school productions and performed at various other schools in the Midwest on the weekends. In 1973 Willie transferred to Tufts University near Boston. After taking off half a year to visit Spain, the Canary Islands, Morocco, and the British Isles, he graduated with a degree in Literature in June 1974. The same weekend he graduated Willie had his first major gig in the Boston area, opening a show for Jimmy Buffett at Passim. 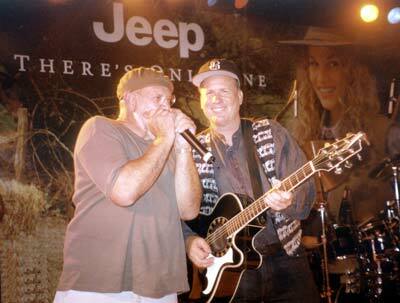 This was also the first time Willie's father, Eugene, performed on stage with him. In 1975 Willie was discovered by a television producer while singing in a Greenwich Village folk club. From the money he received from writing five songs for the nationally televised children's show "Captain Kangaroo" he rented an apartment in the Soho section of New York. For the next several years Willie performed with his entire family at concerts, schools and clubs all over the country as well as at Folk City, the Lone Star Cafe and the Bottom Line in New York City. They also sang the National Anthem at Shea Stadium for the New York baseball club the Mets six times. In 1981 Wiilie and Annie appeared on the Nashville country music television show "Hee Haw". In 1983 Willie and Annie sang in Switzerland for the first time, at the Western Saloon in Interlaken. That year they also helped inaugurate the first Frutigen Singer Songwriter Festival. In 1984 they again appeared at Frutigen, other areas of Berner Oberland and toured Norway for two months with bass player Danny Counts. 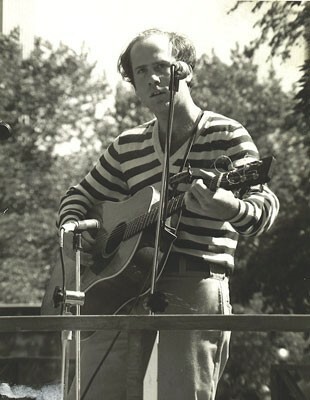 In the mid-1980's Willie became a regular part of the Fast Folk collective in New York City, recording for the Fast Folk Musical Magazine and appearing as MC and a featured performer on several Fast Folk tours with the likes of Christine Lavin, Shawn Colvin, Suzanne Vega, Lucy Kaplansky, and John Gorka, among others. Splitting his time between the U.S., Switzerland and England, Willie built a following in each, stopping long enough to begin recording more of his songs. Willie's song "On A Winter's Night" became the title track on the widely acclaimed singer-songwriter compilation album of the same name, leading to the Winter's Night concert tours that continue today. His old Captain Kangaroo theme song for Mr., Moose, "I'm Proud to be a Moose," was recorded and widely performed by Dave Van Ronk. In 1991, after going back and forth between Europe and the United States several times per year, Willie decided to concentrate the majority of his time in Switzerland. He started working regularly with Danny Counts (bass) and began building a band with Putzie Mayr (pedal steel and accordion), Kirby Bivans (drums) and his long time agent and friend, Christian Riesen. During the 1990's Willie became increasingly popular in Switzerland and in the United Kingdom, issuing recordings on a Swiss label and performing more than 150 dates a year with his band and as a solo performer. 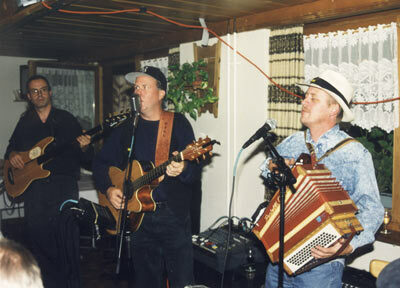 Highlights included Swiss President Adolf Ogi singing the blues with Willie's group at his election celebration in Kandersteg, jamming with the Texas Tornadoes at the Gstaad Country Night and becoming the first American to win first prize in the Swiss Country Music Awards at the Schuetzenhaus Albisguetli, resulting in an appearance on the Swiss country music television special "Country Roads". In 1992, Willie issued his first U.S. CD release , "Almost Home," available from this site. Two more CD's followed. Homesick and committed to reconnecting with his family, Willie decided in 2002 to return to the United States. After taking a bit of a sabbatical to help care for his father, Willie has re-established his career in the Northeast.. Watch for him in your town in the coming months. Click on the tour link to the left to check out his myriad schedule of performances and check out the news section to see what Willie's been up to recently.